At the age of only 36, Sir Mark Sykes was signatory to the Sykes-Picot agreement, one of the most reviled treaties of modern times. 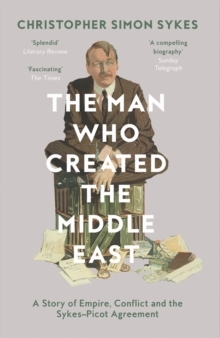 A century later, Christopher Sykes’ lively biography of his grandfather reassesses his life and work, and the political instability and violence in the Middle East attributed to it. The Sykes-Picot agreement was drawn by the eponymousBritish and French diplomats in 1916 to determine the divideof the collapsing empire in the event of an allied victory inWorld War I. Excluding Arab involvement, it negated theirearlier guarantee of independence made by the British -and controversy has raged around it ever since.But who was Mark Sykes? A century on, Christopher Simon Sykes reveals new facetsof a misremembered diplomatic giant. Using previouslyundisclosed family letters and cartoons by his grandfather,he delivers a comprehensive and humbling account of the man behind one of the most impactful policies in the Middle East.